SAN MARCOS — The UTRGV baseball team closed out a season-long eight-game road trip with a 2-1, 10-inning victory over Texas State on Tuesday at Bobcat Ballpark. With the score tied at 1 in the 10th, UTRGV (17-16) loaded the bases on a single by senior Anthony Gomez, a double by sophomore Elijah Alexander, and an international walk to knock out Braden Pearson (1-1). Senior Ivan Estrella then greeted Kyle Bradford with a sacrifice fly to put UTRGV on top. That made a winner of senior PSJA alum Jorge Flores (4-3), who pitched a perfect ninth. Freshman Max Balderrama Jr. pitched a hitless 10th for his first save. Texas State (17-15-1) scored its lone run against junior Jerred Quartier on a balk in the second. Quartier went on to pitch a career-high six innings, striking out a career-high nine batters while allowing five hits and one walk. UTRGV tied the game in the fifth on a Gomez single. Gomez finished 3 for 5 with an RBI and a run scored. Junior Ryan Fish went a career-best 3 for 4 with a run scored. Sophomore Coleman Grubbs finished 2 for 4. UTRGV’s bullpen didn’t allow a hit in four innings, starting with junior and McAllen Rowe alum Ryan Jackson, who tossed two perfect innings. UTRGV returns home for the first of three games against Grand Canyon at 7 p.m. Friday at UTRGV Baseball Stadium. The first 200 fans in attendance will receive mystery giveaway items. Clues as to what the mystery giveaway is will be shared on the official Instagram account of UTRGV Athletics, @GoUTRGV, starting Wednesday. At the game, fans will have the opportunity to win more prizes by participating in an Instagram scavenger hunt. Fans will be asked to take 10 specific photos and upload them to Instagram using a designated hashtag. 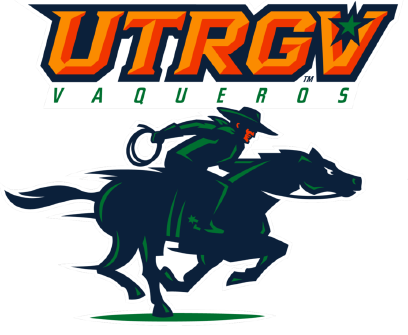 The first 50 fans to complete the scavenger hunt will receive a UTRGV prize. The complete set of rules will be announced on Thursday via Instagram. Friends and families can purchase four-packs that include four tickets, four hot dogs and four drinks for $25.